You just got new dentures and like most new denture wearers, you’re eager to find tips for learning to eat with dentures and what foods to avoid with dentures. If your teeth have been giving you problems, you’ve probably started opting for softer foods. Maybe you’ve favored one side or the other for chewing. So when your teeth start to decay to the point of finally needing to have them out, you’re in trouble. Without healthy teeth, there’s no way to eat or talk comfortably. You may feel awkward in social, professional, or even family settings. Dentures from your favourite Toronto denture clinic in Etobicoke, Ontario are a great way to get your smile back and feeling your normal self again! What’s Involved in Getting Dentures? To eat with a foreign material inside your mouth! As you begin your denture journey though, you’ll find that each step leads to the next; once you’ve mastered eating, you go back to the beginning of cleaning and seating them. It won’t take long for you to learn these skills and become confident with your brand new smile! 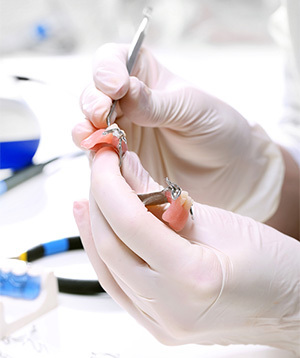 Caring for your dentures requires a few different products than what you might be used to. Rinse them first, being careful not to bend or drop them. Then, using a soft-bristled denture brush and non-abrasive products, clean every surface. Rinse again, then leave them soaking overnight in water or a denture solution. Also make sure to clean any remaining teeth, gums, and around any implants. Placing your dentures in your mouth and getting them to stay put takes a little practice get just right, but you’ll be a pro in a week or two! A denture adhesive can help them stay in place so you can be fearless and self-assured in using your mouth to smile, speak, and eat! Speaking clearly may take a few days of practice. Your tongue might even feel crowded and your gums a little irritated at first. Excess salivation is a common side-effect of having something in your mouth. But within a week or so, you’ll adjust to the new normal. Just as you’ve learned to put the dentures in more efficiently each day, your speech will start to get clearer. Your jaw and tongue muscles learn to incorporate the devices and hold them in place. The more your speech improves, the better your eating habits will as well. 3. Start Slowly When Learning to Eat Well With Dentures! Take a few days to get comfortable eating with your new teeth. 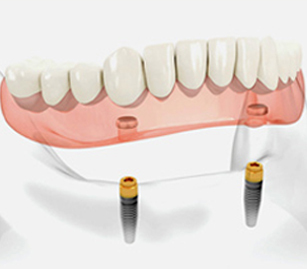 Whether you have a traditional, removable full or partial denture, implant supported snap on, or All-on-4s, the new prosthetic will feel big in your mouth at the beginning; your tongue, cheeks, and gums will learn to adjust. 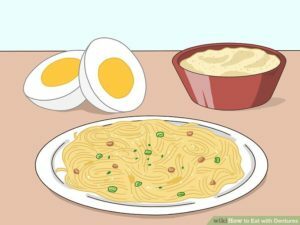 Go slow at first; start with very soft foods like oatmeal, eggs, ice cream, and yogurt. After a few days add things like rice, soft cooked vegetables, and fish. As you gain confidence with your dentures, you’ll be able to add back most of your regular diet! There are some differences between eating with dentures, with implant supported dentures, with implants, or with your natural teeth. Eating with any sort of dental implant allows for a stronger bite because the teeth are anchored in your jaw. 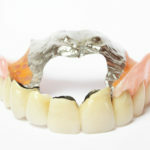 But traditional dentures are also a great option because they are easier to remove and clean. No matter which treatment you choose, eating can be an enjoyable experience again! There are a few foods that you should avoid as a denture wearer, though, such as those that are hard, sticky, crunchy, or tough. If you’re still learning to keep your dentures in place, or if you’re wearing older, loose dentures, sinking your teeth into an apple or raw veggie will create stress in your mouth. Your denture may come unseated and could actually hurt. Popcorn, though not as hard as raw veggies, has tough pieces that may slip into the pockets of your cheek, irritating your mouth- remember what it felt like to have them caught between your teeth?! Likewise, you may find eating nuts with dentures difficult without getting them between the denture and your gums. You can still eat these foods, but go slowly, chewing on both sides at the same time, and be prepared to rinse your dentures afterward to keep them clean and comfortable! Caramel and taffy candy, gum, peanut butter, and even some breads can stick to your teeth. These items can build up under your dentures, pushing them out of place as you wear them and creating discomfort for your gums or jaw. As with hard foods, you don’t have to avoid them completely. On the occasion you might indulge in a sticky food, rinse your dentures well afterward. A tough food could unseat your dentures quickly. When eating a steak or pork chop, with natural teeth or implants, people tend to chew on one side, using a crosswise grinding motion and alternating sides to make the bite of food small enough to swallow. This grinding bite will not only move your dentures out of place, but could break them! Chewing with them should take place equally on both sides at the same time. Avoid tough, thick cuts of meat like steak, pork chops, and ribs while you’re still getting comfortable with your dentures. Start out with small, tender bites when you’re ready to try them again. 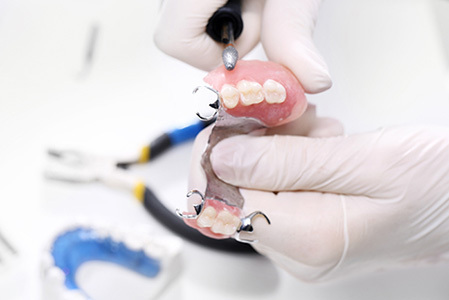 Though the hard, crunchy, sticky and tough guidelines are for all prosthetics, patients who wear implant supported dentures or All-on-4 implants typically have an easier time getting accustomed to using their new teeth, since they are supported by the jaw bone like natural teeth. They are more comfortable, more stable and can withstand more regular bite forces. But traditional denture wearers can also be adventurous with their diet! Try new recipes with your favorite flavor profiles. Lots of new foods and old favorites are back on the menu now that you have teeth again! Don’t Forget to Clean Up After! As you continue to master eating with dentures, remember to rinse them after eating and clean them daily. Practicing good hygiene is key to maintaining a snug fit and being able to smile and eat for a long time! 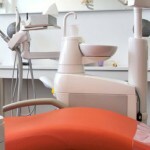 Talk to our experienced Toronto Denturists to learn more.